Ballinkeele, unlike any hotel or guesthouse, is a welcoming family home where the combination of home cooked food, stunning location, grand country house accommodation and warm hospitality make for an unforgettable experience. Bordering the rural Wexford village of Ballymurn, Ballinkeele is magically situated on a secluded private estate far from the hustle and bustle of everyday life. 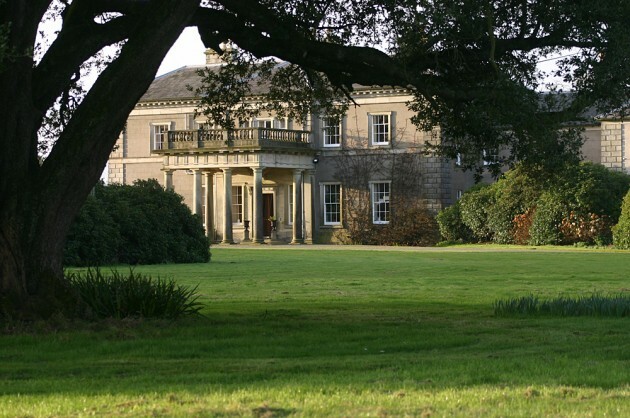 The present house, a magnificent Victorian Italianate mansion was built in 1840 by the Maher family who have been farming the Ballinkeele lands since 1808. The current owner Mrs Margaret Maher has worked hard to enhance the period glamour with sympathetic interior decoration and an abundance of beautiful antiques. The enchanting gardens, mature grounds and ancient trees at Ballinkeele make this a truly secluded spot where visitors really can slow down, relax and recharge. 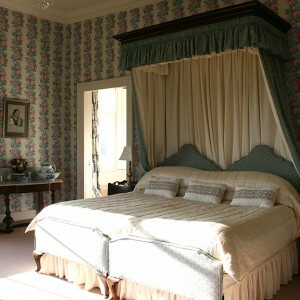 Ballinkeele offers luxury country house accommodation with a difference. The interior of the house has retained it’s Victorian elegance with grand old fireplaces and original vintage furniture throughout. With just five uniquely decorated bedrooms, all with private en suite bathrooms, guests experience the exclusive nature of staying in a historic luxury guesthouse and stately family home. In such a peaceful and tranquil setting, the house is a sanctuary of laid back luxury where guests will sleep well, eat well and leave with a feeling of well being. 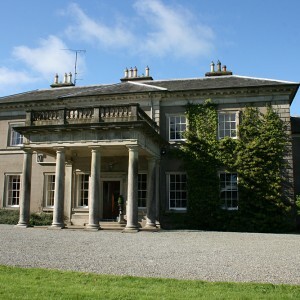 With such luxury bed and breakfast accommodation and delicious country house dinners on offer Ballinkeele is one of Ireland’s ideal locations for everything from business meetings and corporate get togethers to quiet romantic getaways. Ballinkeele is located in the heart of County Wexford, Ireland’s ‘Sunny South East.’ The house is the perfect location for exploring this intriguing county, with a wide range of historic and archaeological sites, beautiful gardens and many fine sandy beaches all nearby. There are a grand total of six golf courses within one hour’s drive and riding stables just 30 minutes away and Ballinkeele is ideally placed for touring, with Kilkenny, Waterford, the Wicklow Mountains and Dublin all within easy reach. After one of our wholesome Irish breakfasts, guests are set up for a day of exploration, activity of choice, be it fishing, golf, riding, walking or cycling. For guests that prefer to stay and relax in Ballinkeele’s elegant surroundings, they can stroll through the grounds, play croquet on the lawn or head indoors for a game of cards and chess or simply put their feet up and relax. From Wexford take N11 North to Oylegate village and turn right at signpost. From Enniscorthy, take N11 South to Oylegate village and turn left at signpost.